Today I'm taking a look at another fun Mattel 1:55 scale Cars 3 diecast...and hey, what do you know— it's not Piston Cup racer this time! Here we have Roscoe, a brand new character just released a few weeks back (I found him at Target). It's about time I found something new on store shelves, right? 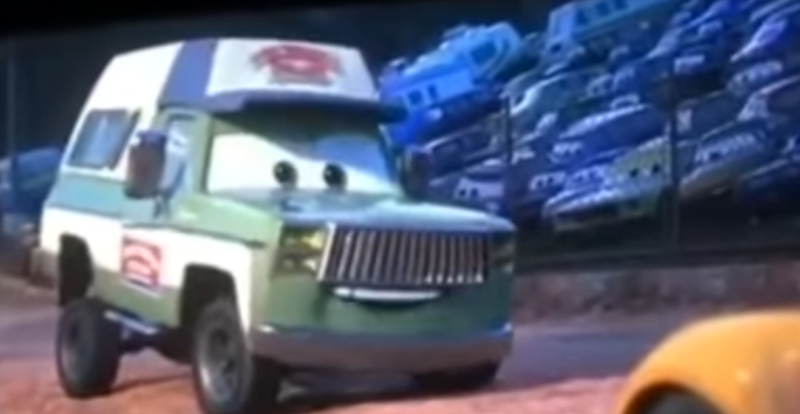 As shown in the screenshot above (sorry for the bad quality, but I snapped it from the only video I could find of this scene), Roscoe is the host (also known as the "gatekeeper") of the Crazy 8 demolition derby at the Thunder Hollow Speedway. This is a fun and unique character that I'm excited to have and the perfect addition to my collection of demo derby cars. He has a great expression and an overall fantastic likeness to the character in the film—not to mention some nice mud detailing! A solid effort from Mattel. 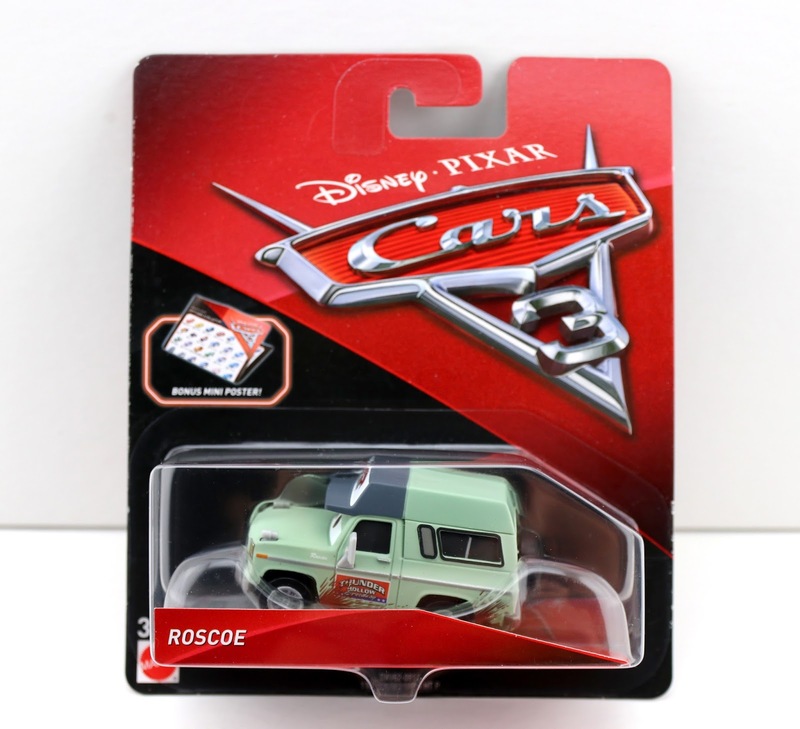 If you're having a fun time collecting all the super awesome cars from the Cars 3 demolition derby scene, then you won't want to miss Roscoe here. Snag him if you have the chance since he's a bit rare at this point! This release even comes with a sweet mini poster checklist to help you keep track of your collection (seen in a previous post HERE). 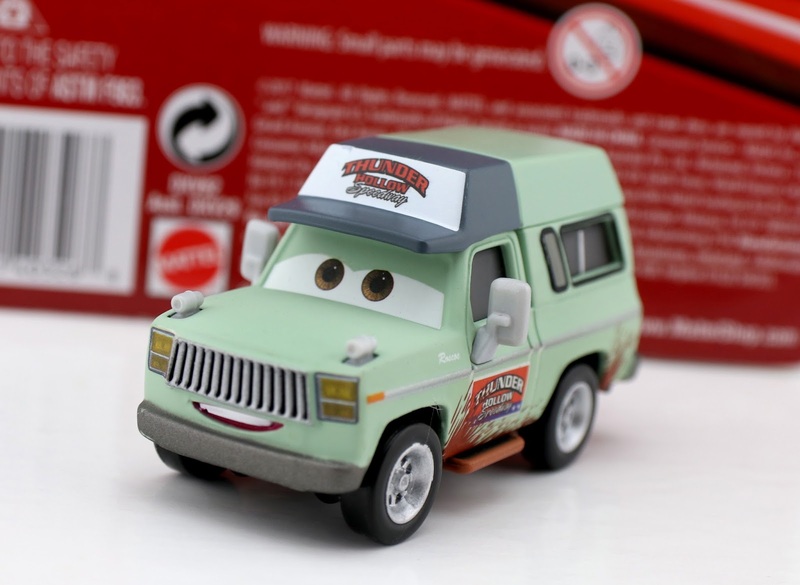 If you're having trouble finding Roscoe in stores, be sure to check out current eBay listings HERE or Amazon using the direct link below.